With over 15 years experience in fish pond cleaning and fish tank cleaning, Harry Curtis at FishCareCo offers a great solution to your cleaning needs. Offering you a free no obligation quote and a no nonsense approach to what is required to give you a clean, healthy and productive pond or fish tank for years to come. Regular maintenance of your pond is vital to the survival and health of your fish. 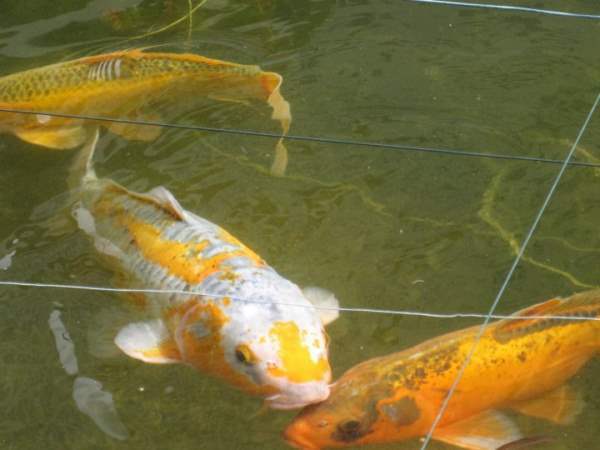 Even if you have goldfish, carp, koi or tropical species this is where we provide expert solutions to any cleaning issues you may have. Ours is a hands on approach that not only saves you time and money but can dramatically increase the health of your pond (tank) and fish. Call Harry today for your free no obligation quote on 07577 557773 Areas Covered: Bournemouth, Poole, Christchurch, Weymouth and surrounding areas. 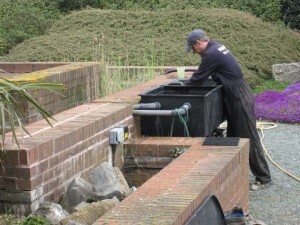 Fish Pond Cleaning: When Cleaning your pond we first remove some of the water to make it easier enabling us to easily remove fish which are then kept safely in large holding pools which we provide ensuring the wellbeing of your fish. 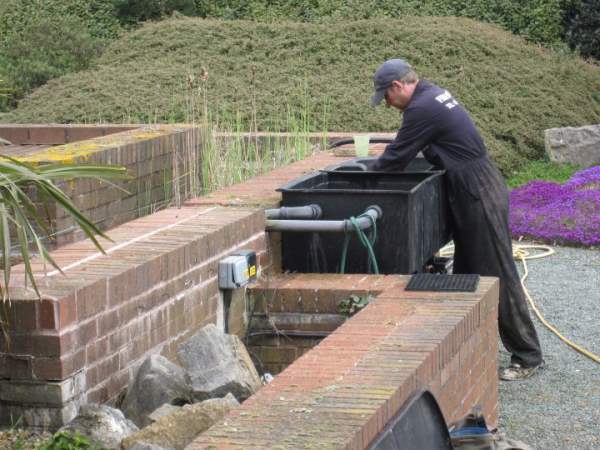 All water plants are then carefully removed and cleaned before returning to the pond. 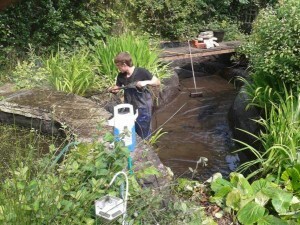 Once all the water is drained from the pond all the chod (debris) and waste such as muddy sludge is removed. The interior of your pond is then pressure washed, this ensures a clean surface on the bed and sides of the pond. Pumps & Filters: We provide a pump and filter cleaning service and we can also install a new pump and filter system if and when required. Diseased Fish: Pond fish and tank fish can fall foul to many types of diseases. Each disease has different characteristics and as so must be treated for its individual merits. We can provide onsite advice and treatments for a variety of known diseases such as fin rot, ulcers, gill disease to name just a few. It is essential to treat all diseases as quickly as possible.